Lufthansa pilots have announced they would go on strike on March 18, affecting the airline’s short and medium-haul flights. The strike action was called by the pilot’s union Vereinigung Cockpit in an ongoing dispute with the German national airline over its early retirement benefits. Workers are also in a dispute over Lufthansa’s plan to expand its low-cost operations. The move is the latest in a series of strikes that have plagued the airline. The walkout would last 24 hours, affecting flights throughout Germany. But flights at the carrier’s budget units Germanwings and Eurowings would not be affected, the union said. 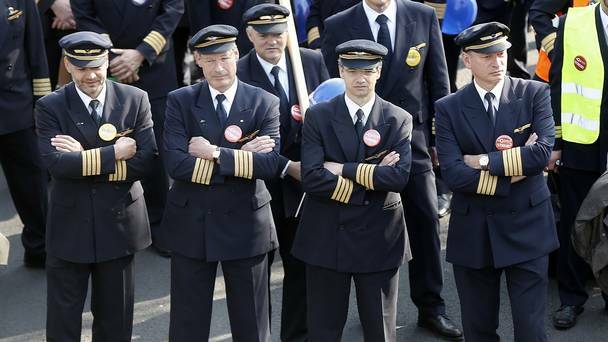 Pilots have held a series of strikes from last year over Lufthansa’s plans to change their pension arrangements. Lufthansa wants to get rid of a program that allows pilots to retire at age 55 and receive up to 60% of their pay until they reach the statutory retirement age of 65. Vereinigung Cockpit union also said that Lufthansa wants to offer younger pilots less attractive working conditions, forcing it to strike. Strikes cost Lufthansa 232 million euros ($278 million) in 2014.